Instagram’s success story is almost cliche by now: Kevin Systrom and Mike Krieger were working on an app called Burbn that wasn’t going anywhere, and it was only when they stripped it down to focus on the photos – and Systrom’s girlfriend had the suggestion for adding filters — that things really took off. Make it fast. Make it beautiful. Make it simple. So as much as I doubted that Instagram could do the same with video — video is, after all, and entirely different experience with its own unique challenges — it appears Systrom and team may have pulled it off. Instagram announced Thursday morning in Menlo Park that two and a half years after its launch, and now under Facebook’s umbrella, the company has added video to the mix. You can read our full coverage from the liveblog of the event. My greatest reservation when it comes to apps doing social video is that if they don’t serve it up fast enough, the experience is practically worthless. As much as I have enjoyed playing with Twitter’s Vine, opening the app to see a feed of buffering videos is a deal-killer. So have things really changed that dramatically in just three years? I wrote earlier this month about my love for recording Vine videos, but noted that Vine might have hit the technology wave of faster networks speeds a little too early. While Vine’s six-second limit and automatic looping makes the videos fun to record, I found myself staring at buffering videos far too often. We’ll see if videos on Instagram load any faster, but in my brief speed comparisons of Instagram and Vine (on Facebook’s only-OK press WiFi), Instagram is performing remarkably well. The videos have loaded instantaneously. But it’s something we’ll have to judge over time, and the outcome could really make or break the service; that’s something the guys at Instagram seem to understand. Systrom said they’ve worked to start loading the videos before you even call them up in your feed to help things along. Systrom has said it a million times: Instagram is not a filters app. It’s not a photography app. 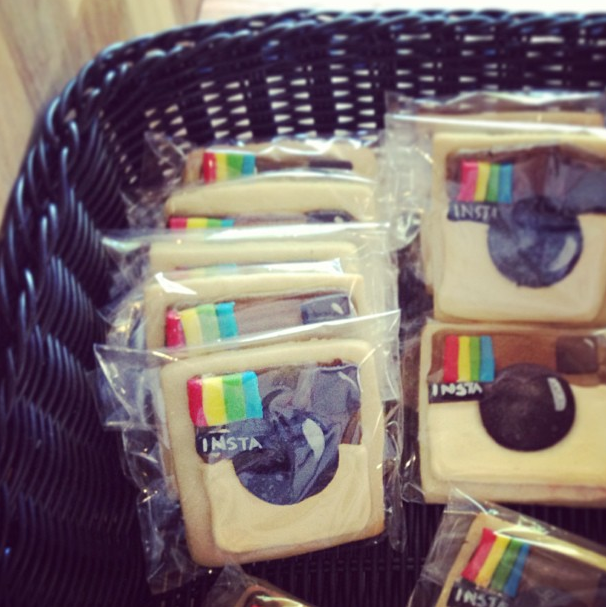 But there’s no question that the concept of filters, whatever you want to calll them, were key to Instagram’s success. Your brunch photos would look a lot less beautiful without Valencia or Mayfair. And it appears that filters can work the same way on video for Instagram, as a key differentiation point from Vine. Users can choose the video button next to the main capture button in the app, record up to 15 seconds of footage, add a video-specific filter, stabilize the image, and share to social networks. There are some differences from the photo version, but at its core it looks pretty similar. And yes, the videos do look better when you put a filter on it. In a way, the simplicity of video on Instagram isn’t just about the app itself. Yes, videos are easy to record. But what makes video on Instagram pretty killer is that it’s available immediately to 130 million active users already — just imagine the rollout strategy and marketing you can skip right there. This isn’t a new app you have to download; the features are already there, and your social graph is there, too. So will I ever post another video to Vine? Probably not. If the performance and speed on Instagram is markedly better, and I already have hundreds of followers on Instagram that check the app and give me feedback daily, it’s hard to imagine how Vine could ever compete with that. Facebook clearly has no qualms about grabbing hot ideas and rapidly rolling out its own version, even if the Facebook version of the app isn’t all that great. (See: Poke versus Snapchat.) But video for Instagram feels different — while it shares many features with Vine, it doesn’t seem like a rapid, one-off copy. I’m using a Samsung S3 but I get no video icon on Instagram. I removed and re-installed the program to make sure, but it just isn’t there. I created a test video using my iPhone. Deleted it. Was prompted to make sure I wanted to delete it. Said “yes”. It said “Video Deleted”. But it wasn’t. It was still right in front of me. I hit refresh. Still there. I quit out of the app and then re-entered it. Video still there. I did the double-clicky thing and killed the App at task level. I relaunched it and the video was gone. Far from simple. Still a few wrinkles to work out, I think. However, I will use this over Vine for sure. Why? Because of the email option. I can control the distribution of the videos I create. I don’t want to have to use a social network to share every video. My parents generation use email a lot more than social networks.